Medical Microneedling is a treatment that constitutes a form of Collagen Induction Therapy (CIT). It is also referred to as a non-ablative skin treatment. This means that the deeper parts of the skin are treated without removing the top layer of skin. It is designed to treat various skin conditions such as fine lines and wrinkles, light scarring from acne and photodamage, and to improve skin color and other skin texture changes. What is the principle behind Microneedling? The idea behind Collagen Induction Therapy (CIT) is similar to that of many other non-surgical skin-tightening procedures in that it aims to create a controlled injury underneath the skin’s surface, thereby inducing the body to respond through the formation of new tissue layers of elastin – and collagen fibres (neo-collagenesis) as well as new capillaries for an improved blood supply (neo-angiogenesis) in the treated area. The skin plumps and thickens in response to this stimulus, ultimately reducing the appearance of scars, and fine lines and other skin texture changes. 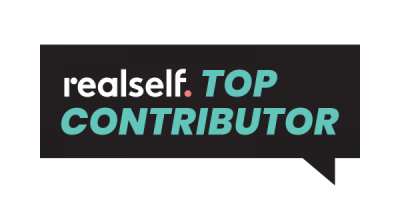 In addition to CIT, the channels made from the microneedles allow topical gels and creams to be absorbed more effectively through the top layer of skin. What are the effects of Microneedling on the skin? Microneedling improves the skin by improving the thickness of the dermis as well as the epidermis. This in return improves skin texture and reduces wrinkles. It can also have a positive effect on hyper-pigmentation as well as on hypo-pigmentation. Disfiguring scars, especially acne scars, can many times also be improved. New collagen fibers elevate any depressed scar tissue. An improved blood supply (neo-angiogenesis) into the previous fibrotic scar tissue also blends the pigmentation with the periphery skin. How does Microneedling compare with other skin treatments? As already mentioned, medical microneedling is a non-ablative treatment i.e does not remove the top layer of skin. Alternatives are the ablative skin treatments such as lasers, chemical peels and dermabrasions which do remove the top layer of skin and subsequently have more downtime and associated side effects and possible risks. 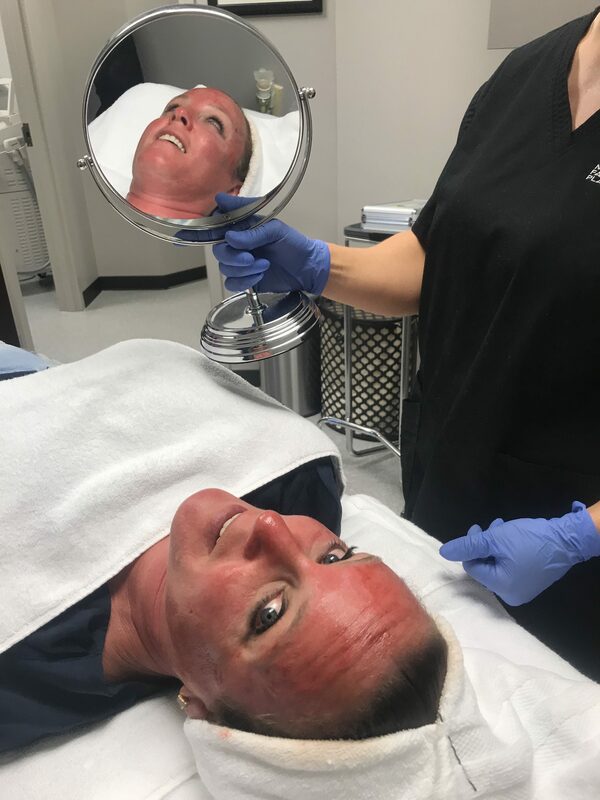 However, in situations where the top layer of skin is more obviously affected with more severe changes in color, wrinkles and quality of skin, then ablative treatments may be indicated and preferred over non-ablative skin treatments. 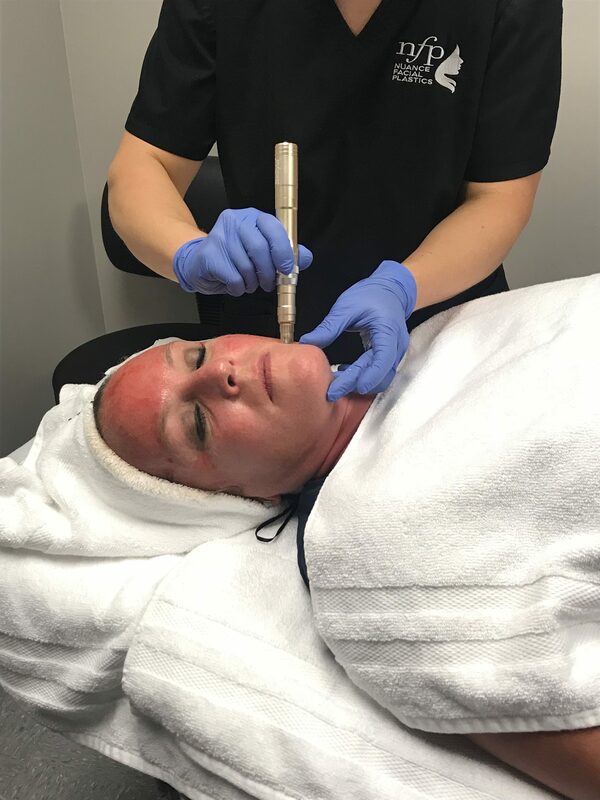 Unlike ablative procedures which are mainly used for facial skin, the Medical Microneedling can be used on all skin parts of the body (neck, décolleté, arms, leg) and face.